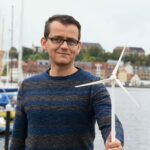 sowento is growing and we are more than happy to let our new colleague Martin Koch introduce himself to the wind energy community. We at sowento are happy to have you onboard and wish you a good start with us. I’m 28 years old and I grew up in a lovely village called Wald in southwest Germany. I’ve got a bachelor’s degree in Renewable Energy and a master’s degree in Cybernetics from the University of Stuttgart (almost equally as lovely), which are three reasons right there for why I applied at sowento. With everyone struggling to make their way of life sustainable, smart control theory might just be one of the puzzle pieces needed to make it all work. Here at sowento, I’m given the unique opportunity to combine these two fields of interest and help making this company a successful, growing enterprise. And who knows, I might even end up doing my modest part in helping to maintain the number of places, which in the future can most aptly be described as ‘lovely’. Interested in Martin’s work at sowento? Get in contact with him.